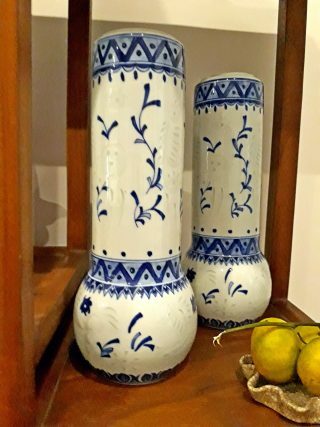 Two vases from MAO period ( second half of seventies ). They feature a unique design, with exquisite artwork performed by one of old masters. During the MAO period, such pieces were frequently given to presidents to other countries. Present value about 50000 EURO today.